Price (incl.vat) 1330.00 - 3844.74 € / pcs ✔ Delivery time 3 - 20 working days. ✔ In stock. 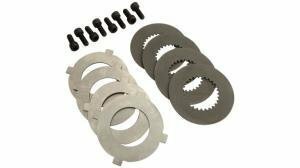 Select a product: Cusco differential mitsubish lancer evo 4-6 type-rs 1-way front differential for mt trans and open/helical oe diff. more info: must use mitsubishi parts: #md746743 and md728354. LSD 147 FV1 | 3844.74 € Cusco differential mitsubish lancer evo 4-6 type-rs 1-way front differential for mt trans and open/helical oe diff. more info: must use mitsubishi parts: #md746743 and md728354. in some cases some other mitsubishi parts might be needed. LSD 147 CV1 | 3844.74 € Cusco differential mitsubish lancer evo 4-6 type-rs 1-way rear differential for mt trans and ayc oe diff. more info: includes side bearing. not for a vehicle with renewed diff. LSD 148 F | 1400.00 € Cusco differential mitsubish lancer evo 4-6 type-rs 1.5-way front differential for mt trans and open/helical oe diff. more info: must use mitsubishi parts: #md746743 and md728354. in some cases some other mitsubishi parts might be needed. LSD 147 CV115 | 3844.74 € Cusco differential mitsubish lancer evo 4-6 type-rs 1.5-way rear differential for mt trans and ayc oe diff. more info: includes side bearing. not for a vehicle with renewed diff. 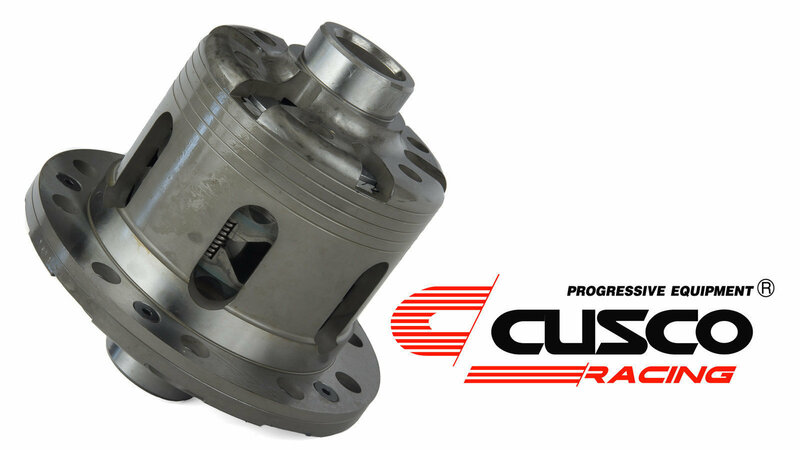 LSD 148 L15 | 1400.00 € Cusco differential mitsubish lancer evo 4-6 type-rs 2-way rear differential for mt trans and ayc oe diff. more info: includes side bearing. 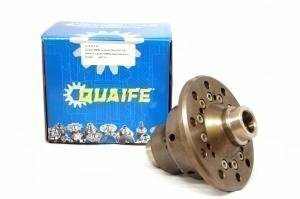 not for a vehicle with renewed diff. LSD 148 F2 | 1400.00 € Cusco differential mitsubish lancer evo 4-6 type-rs 2-way rear differential for mt trans and ayc oe diff. more info: includes side bearing. not for a vehicle with renewed diff. LSD 148 L2 | 1400.00 € Cusco differential mitsubish lancer evo cp9a type-rs 1-way front differential for mt trans and open oe diff. more info: must use mitsubishi parts: #md746743 and md728354. LSD 147 FV1 | 3844.74 € Cusco differential mitsubishi colt 1.5c type-rs 1-way front differential for mt trans and open oe diff. LSD 441 C | 1400.00 € Cusco differential mitsubishi colt 1.5c type-rs 1-way front differential for mt trans and open oe diff. LSD 441 F | 1400.00 € Cusco differential mitsubishi colt 1.5c type-rs 1.5-way front differential for mt trans and open oe diff. LSD 441 C15 | 1400.00 € Cusco differential mitsubishi colt ver.r type-rs 1-way front differential for 5-spd mt trans and any oe diff. LSD 440 C | 1400.00 € Cusco differential mitsubishi colt ver.r type-rs 1-way front differential for 5-spd mt trans and any oe diff. LSD 440 F | 1400.00 € Cusco differential mitsubishi colt ver.r type-rs 1.5-way front differential for 5-spd mt trans and any oe diff. LSD 440 C15 | 1400.00 € Cusco differential mitsubishi fto de3a type-rs 1-way front differential for mt trans and open oe diff. more info: not for model with viscous lsd. 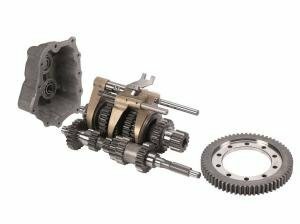 LSD 145 C | 1400.00 € Cusco differential mitsubishi fto de3a type-rs 1-way front differential for mt trans and open oe diff. more info: not for model with viscous lsd. LSD 145 F | 1400.00 € Cusco differential mitsubishi fto de3a type-rs 1.5-way front differential for mt trans and open oe diff. more info: not for model with viscous lsd. LSD 145 C15 | 1400.00 € Cusco differential mitsubishi lance evo cp9a type-rs 1-way front differential for mt trans and open oe diff. more info: must use mitsubishi parts: #md746743 and md728354. in some cases some other mitsubishi parts might be needed. LSD 147 CV1 | 3844.74 € Cusco differential mitsubishi lancer evo 1-3 type-rs 1-way rear differential for mt trans and mechanical oe diff. more info: when installing to a vehicle with viscous lsd: the side flange must be changed. LSD 141 F | 1330.00 € Cusco differential mitsubishi lancer evo 1-3 type-rs 1-way rear differential for mt trans and mechanical oe diff. more info: when installing to a vehicle with viscous lsd: the side flange must be changed. competition (gymkhana) model (55-deg. 1-way). 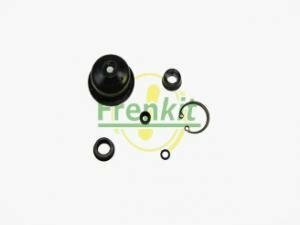 LSD 141 FG | 1330.00 € Cusco differential mitsubishi lancer evo 1-3 type-rs 1-way rear differential for mt trans and mechanical oe diff. more info: when installing to a vehicle with viscous lsd: the side flange must be changed. competition (rally) model (45-deg. 1-way). LSD 141 FR | 1330.00 € Cusco differential mitsubishi lancer evo 1-3 type-rs 1.5-way rear differential for mt trans and mechanical oe diff. more info: when installing to a vehicle with viscous lsd: the side flange must be changed. LSD 141 L15 | 1330.00 € Cusco differential mitsubishi lancer evo 1-3 type-rs 2-way rear differential for mt trans and mechanical oe diff. more info: when installing to a vehicle with viscous lsd: the side flange must be changed. LSD 141 F2 | 1330.00 € Cusco differential mitsubishi lancer evo 1-3 type-rs 2-way rear differential for mt trans and mechanical oe diff. 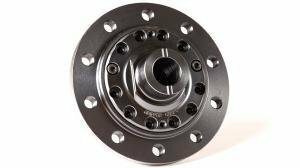 more info: when installing to a vehicle with viscous lsd: the side flange must be changed. LSD 141 L2 | 1330.00 € Cusco differential mitsubishi lancer evo 4-6 type-rs 1-way rear differential for mt trans and kayc oe diff. LSD 141 F | 1330.00 € Cusco differential mitsubishi lancer evo 4-6 type-rs 1-way rear differential for mt trans and kayc oe diff. more info: competition (gymkhana) model (55-deg. 1-way). LSD 141 FG | 1330.00 € Cusco differential mitsubishi lancer evo 4-6 type-rs 1-way rear differential for mt trans and kayc oe diff. more info: competition (rally) model (45-deg. 1-way). 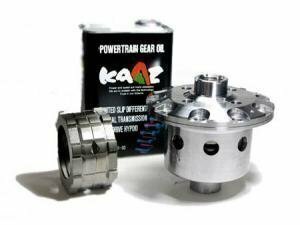 LSD 141 FR | 1330.00 € Cusco differential mitsubishi lancer evo 4-6 type-rs 1.5-way rear differential for mt trans and kayc oe diff. LSD 141 L15 | 1330.00 € Cusco differential mitsubishi lancer evo 4-6 type-rs 2-way rear differential for mt trans and kayc oe diff. LSD 141 F2 | 1330.00 € Cusco differential mitsubishi lancer evo 4-6 type-rs 2-way rear differential for mt trans and kayc oe diff. LSD 141 L2 | 1330.00 € Cusco differential mitsubishi lancer evo 7 type-rs 1-way front differential for mt trans and acd oe diff. LSD 449 C | 2058.36 € Cusco differential mitsubishi lancer evo 7 type-rs 1-way front differential for mt trans and acd oe diff. LSD 449 F | 2058.36 € Cusco differential mitsubishi lancer evo 7 type-rs 1-way front differential for mt trans and acd oe diff. more info: must use mitsubishi parts: #md746743 and md728354. LSD 447 FV1 | 3807.65 € Cusco differential mitsubishi lancer evo 7 type-rs 1-way front differential for mt trans and acd oe diff. more info: must use mitsubishi parts: #md746743 and md728354. in some cases some other mitsubishi parts might be needed. LSD 447 CV1 | 3807.65 € Cusco differential mitsubishi lancer evo 7 type-rs 1.5-way front differential for mt trans and acd oe diff. LSD 449 C15 | 2058.36 € Cusco differential mitsubishi lancer evo 7 type-rs 1.5-way front differential for mt trans and acd oe diff. more info: must use mitsubishi parts: #md746743 and md728354. in some cases some other mitsubishi parts might be needed. LSD 447 CV115 | 3807.65 € Cusco differential mitsubishi lancer evo 8 type-rs 1-way front differential for mt trans and acd oe diff. 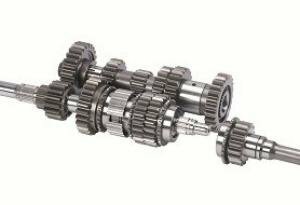 more info: the bearing of gear box side must be transplanted from std. diff. LSD 450 C | 2058.36 € Cusco differential mitsubishi lancer evo 8 type-rs 1-way front differential for mt trans and acd oe diff. more info: the bearing of gear box side must be transplanted from std. diff. LSD 450 F | 2058.36 € Cusco differential mitsubishi lancer evo 8 type-rs 1.5-way front differential for mt trans and acd oe diff. more info: the bearing of gear box side must be transplanted from std. diff. LSD 450 C15 | 2058.36 € Cusco differential mitsubishi lancer evo cp9a type-rs 1-way front differential for mt trans and helical oe diff. LSD 447 FV1 | 3807.65 € Cusco differential mitsubishi lancer evo cp9a type-rs 1-way front differential for mt trans and helical oe diff. more info: in some cases some other mitsubishi parts might be needed. LSD 447 CV1 | 3807.65 € Cusco differential mitsubishi lancer evo cp9a type-rs 1-way rear differential for mt trans and ayc oe diff. more info: includes side bearing. LSD 448 F | 1400.00 € Cusco differential mitsubishi lancer evo cp9a type-rs 1.5-way front differential for mt trans and helical oe diff. more info: in some cases some other mitsubishi parts might be needed. LSD 447 CV115 | 3807.65 € Cusco differential mitsubishi lancer evo cp9a type-rs 1.5-way front differential for mt trans and open oe diff. more info: must use mitsubishi parts: #md746743 and md728354. in some cases some other mitsubishi parts might be needed. LSD 147 CV115 | 3844.74 € Cusco differential mitsubishi lancer evo cp9a type-rs 1.5-way rear differential for mt trans and ayc oe diff. more info: includes side bearing. LSD 448 L15 | 1400.00 € Cusco differential mitsubishi lancer evo cp9a type-rs 2-way rear differential for mt trans and ayc oe diff. more info: includes side bearing. LSD 448 F2 | 1400.00 € Cusco differential mitsubishi lancer evo cp9a type-rs 2-way rear differential for mt trans and ayc oe diff. more info: includes side bearing. LSD 448 L2 | 1400.00 € Cusco differential mitsubishi mirage asti cj4a/ck4a type-rs 1-way front differential for mt trans and open oe diff. more info: when installing to a vehicle with viscous lsd: ring gear and the bolts must be changed. LSD 146 C | 1390.00 € Cusco differential mitsubishi mirage asti cj4a/ck4a type-rs 1-way front differential for mt trans and open oe diff. more info: when installing to a vehicle with viscous lsd: ring gear and the bolts must be changed. LSD 146 F | 1390.00 € Cusco differential mitsubishi mirage asti cj4a/ck4a type-rs 1.5-way front differential for mt trans and open oe diff. more info: when installing to a vehicle with viscous lsd: ring gear and the bolts must be changed. LSD 146 C15 | 1390.00 € Cusco differential mitsubishi mirage asti cja4 type-rs 1-way front differential for mt trans and open oe diff. more info: when installing to a vehicle with viscous lsd: ring gear and the bolts must be changed. must use mitsubishi gear box case cap #md 746157. LSD 146 C | 1390.00 € Cusco differential mitsubishi mirage asti cja4 type-rs 1-way front differential for mt trans and open oe diff. more info: when installing to a vehicle with viscous lsd: ring gear and the bolts must be changed. must use mitsubishi gear box case cap #md 746157. LSD 146 F | 1390.00 € Cusco differential mitsubishi mirage asti cja4 type-rs 1.5-way front differential for mt trans and open oe diff. more info: when installing to a vehicle with viscous lsd: ring gear and the bolts must be changed. must use mitsubishi gear box case cap #md 746157. LSD 146 C15 | 1390.00 € Cusco differential mitsubishi mirage c53/63/83 type-rs 1-way front differential for mt trans and open oe diff. 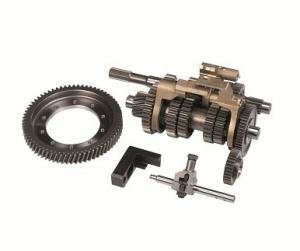 LSD 134 C | 1370.00 € Cusco differential mitsubishi mirage c53/63/83 type-rs 1-way front differential for mt trans and open oe diff. LSD 134 F | 1370.00 € Cusco differential mitsubishi mirage c53/63/83 type-rs 1.5-way front differential for mt trans and open oe diff.